Looking to upgrade your camper or travel trailer or maybe you are a new to the camping and trailer world and are not sure where to start your search? Then you need to come to your local Airstream trailer dealer in Franklin Wisconsin and see one of the many of the new and used Airstreams for sale. 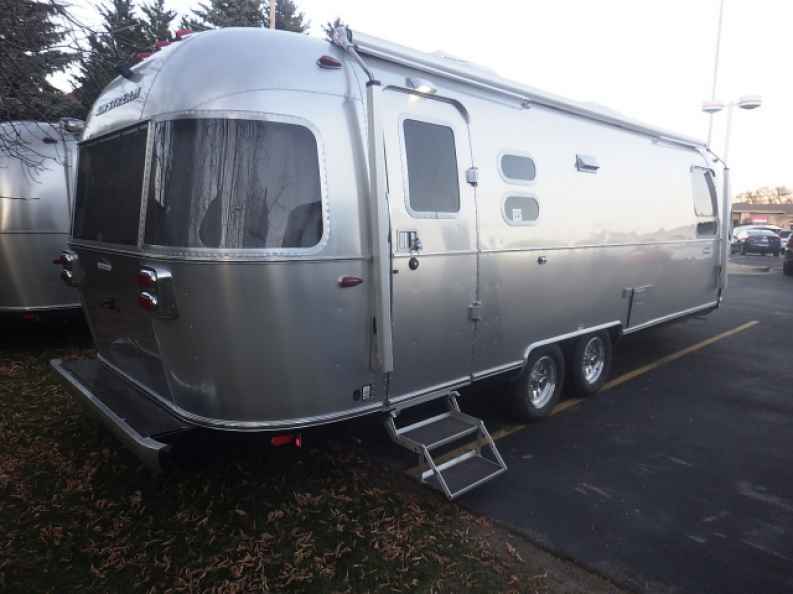 Ewald’s Airstream of Wisconsin has a vast selection of new and used trailers for sale, 5th wheel trailers and even a few RV’s for sale in Franklin Wisconsin. Ewald’s Airstream of Wisconsin has everything from a small popup travel trailer to an Airstream for sale that can comfortably sleep up to six people. That includes a vast selection of Airstream International Serenity trailers for sale, like a Serenity 23FB for sale. 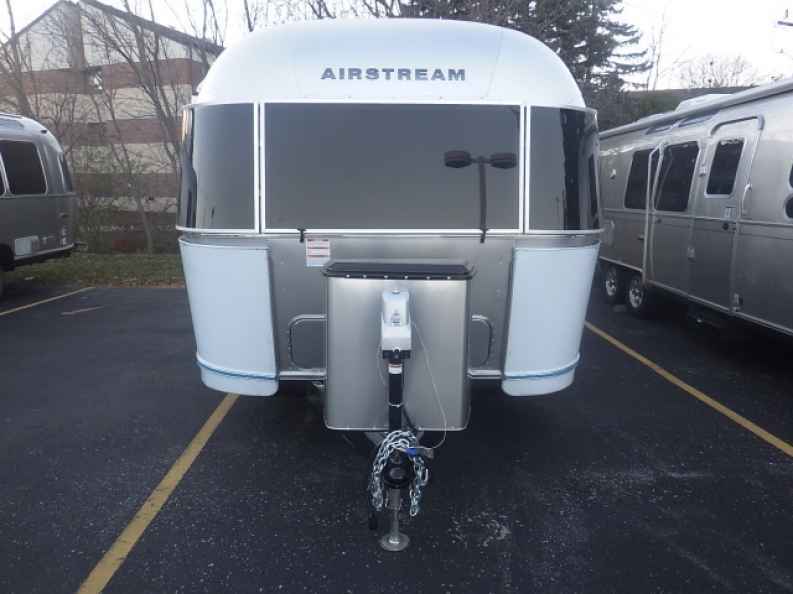 When you want a trailer for sale that is going to relax both your body and mind the instant you step foot into it, you need the Airstream 23FB. With simple and sleek lines that make it easy for the eyes to full take in. 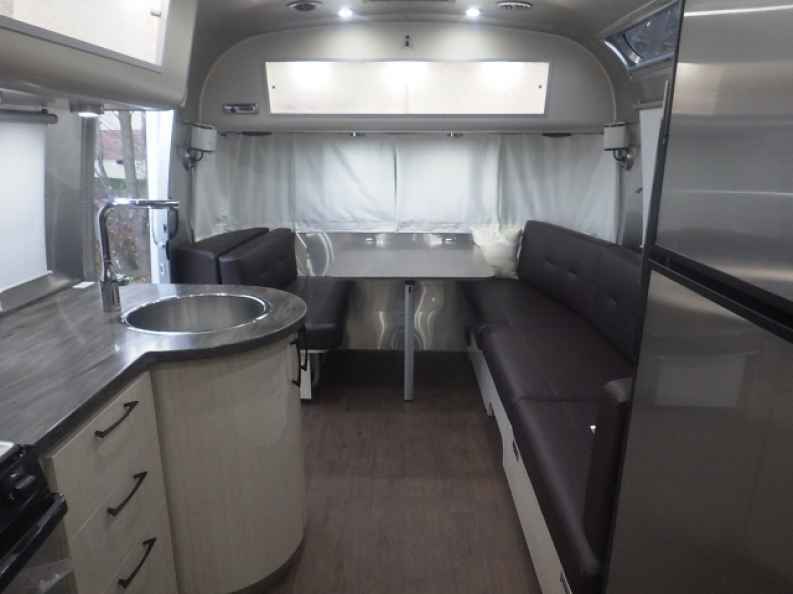 The Airstream 23FB was created to relax not only the body but also the mind with simple yet sophisticated features such as lemongrass and rice paper that reflect a harmonious Eastern design; you will almost forget you are in a travel trailer and not a five-star SPA. The Airstream 23FB comes with a full kitchen and bath and is equipped with a 39-gallon fresh water tank, 18-gallon black water tank and 30-gallon gray water tank, never worry about running out of fresh water or having to dump your tank in the middle of your vacation again. The intelligent design of the Airstream 23FB was created for instant inner peace and relaxation, you will feel fully immersed in nature without having to sleep in a tent or brave the bugs. This Airstream for sale is perfect for a first-time trailer owner to a long time camper looking to upgrade into something new. The Airstream 23FB has an exterior length of 23’9” and width of 8’ making this airstream trailer easy to tow. The Airstream 23FB also comes with the latest anti-sway and anti-roll technology, never drive with a white knuckle grip again with an Airstream trailer for sale. When you camp in the Airstream 23FB, you will not feel the clutter and chaos that is often felt in a camper, because with intelligent storage solutions and designs, everything has a place and there is a place for everything, letting you enjoy your vacation and not worry about the mess in your Airstream trailer. Whether you are a first-time camper, a weekend warrior, or a long term traveler, the Airstream 23FB is sure to dazzle and delight. Come to your local Airstream trailers dealer, Ewald's Airstream of Wisconsin and schedule a walk through of the Airstream 23FB. If an Airstream 23FB is not to your liking take a look at one of the many other new and used Airstream trailers for sale in Franklin, Wisconsin. Ewald’s Airstream of Wisconsin is at 6319 S 108th St, Franklin, Wisconsin, 53132.